I searched near and far to find you a cowboy hat that you could play golf in similar to the one Rory Sabatini wore in his big win at the 2011 Honda Classic. I knew some of you golf geeks would be "Johnny on the spot" to buy one. You can't find them, can you? 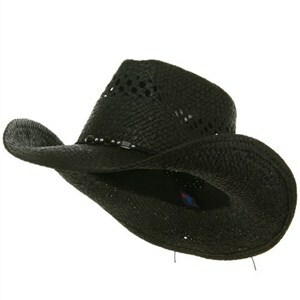 This Outback Toyo Cowboy hat is very similar to Rory's, but it's not made by a golf company. You can bet your bippy (I can't -- I already lost mine in a card game) that TaylorMade will come out shortly with this same hat that says "TaylorMade" on it and charge twice as much for it. I'm sure I will review it, too, and I will certainly recommend people to come get this one. You may have read that Rory wore those hats because of a bout he had with skin cancer. That's the one thing I would warn you about with this hat -- it has holes in the top so the hat will breathe; thus, if you have a bald head like me, you better go with a traditional baseball hat -- or better yet, a big-brimmed sombrero hat.